The weather in Abuja has been very confusing. One day harmattan, next day extreme heat, and before you know it rain is falling. Two months ago, when the weather changed from dry harmattan to humid, I got braids done to allow my scalp breathe. But because my hair is past shoulder length, I could not make the braids short. My scalp could breathe but having the braids brush against my neck was very uncomfortable. For this reason I had to put the braids up most of the time but that made my neck hurt as the wool used for the braids made the bun too heavy. Solution? Shrink and LOC. Since cutting my hair is not an option, I decided to work with the gift of shrinkage. Natural hair is known to be able to go from BSL to chin length in seconds. Thanks to water and water based hair products I could get the perfect length for the season without using scissors. Leave in conditioner- After washing your hair apply a water based leave in conditioner. Oil- Use a light or heavy oil/butter to seal in moisture. If you have type4 hair like mine, your best bet would be to use Shea butter. My butter mix is a combination of Shea butter, coconut oil, vegetable glycerine, and flax seed gel from Natural Nigerian. Cream-This last step is supposed to help create definition and keep the hair feeling soft for as long as possible. However, the focus in this regimen is more on moisture and softness than definition. After washing, section wet hair into 4. Take out one section and cut out a little box. Apply your leave in conditioner to the section and smooth it in. Next, apply some of your favourite oil or butter to the section and smooth. Then apply the cream and proceed to twist hair loosely. Allow hair to air dry and style as you wish. By the third week my ends feel dry, the twists look very frizzy (which I love by the way) and the lines are covering up. 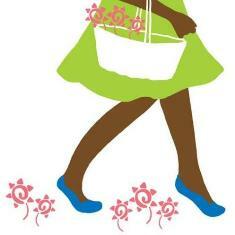 To moisturise I spray on some water, smooth the twists with my fingers and apply butter or cream. I then tie a scarf to control the loose hair strands (stop them from knotting up) for 2-3 minutes and go on my merry way. 1.With warm water and black soap (or shampoo) I wash the twists as I would normally wash my natural hair. Only difference is that I am not washing loose hair strands in big sections. Note: When washing twists be careful not rub the hair strands roughly as this can cause knotting/matting. 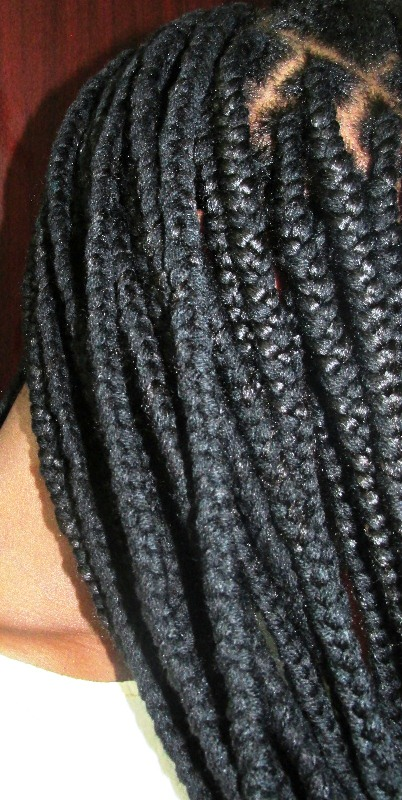 Focus on the roots and smooth shampoo or black soap on the twists. 2. Rinse off shampoo or black soap and wash again with conditioner. I do this until I am are sure that my hair is clean. 3.If before washing my hair felt dry, I go on to do a moisture treatment. DC Tip: When deep-conditioning your hair in twists ensure that you do not use a dc treatment that cannot be easily washed off from the twists. I prefer mixing my conditioner with aloe vera gel (from the plant) and some light oils. After cleansing and dc’ing my hair (while in twists) I dab off some water using a cotton t-shirt. Then I loosen a twist, smooth on my leave-in-conditioner, and gently detangle (using my fingers alone) to take off shed hair and tangles that would have formed at the roots. Follow up with LOC method (as stated above) and retwist. That easy!! Note: Before detangling your wet twists apply a leave in conditioner to avoid breakage. What I love about this regimen is that it keeps my hair soft for as long as two weeks. I do not have to spray on water or any other moisture mix and I only apply a little of my butter mix for shine during this period. Most importantly, manipulation is highly reduced and there is no pressure applied to the scalp during twisting. As for combing, the lines made earlier on should still be in tact so there really is no need to detangle with a wide tooth comb and resection with a sectioning comb. If your natural haired kid cries every time you have to wash and detangle his/her hair, then this is a painless regimen to consider. For a demonstration of what I have shared above and more, be sure to attend our workshop on the 9th of May 2015.
thanks for the tips. I recently started finger combing and it's not been funny but I feel satisfied when I see stretched hair that a comb didn't go through. Nice and easy steps to a healthy hair, thanks for sharing!